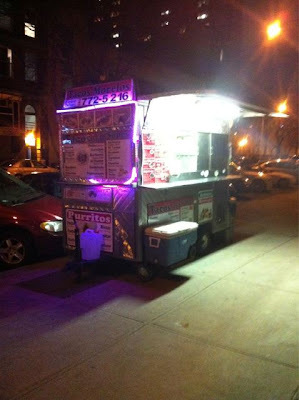 is this in addition to the street meat bro/cart on A btwn 1 & 2nd? usually on there during the weekend shitshow. Don't let block nazi Susan Stetzer see this -- she'll drop a quarter or two on this guy trying to make an honest living and then claim that she received calls from concerned area residents who wanted this guy to disappear.